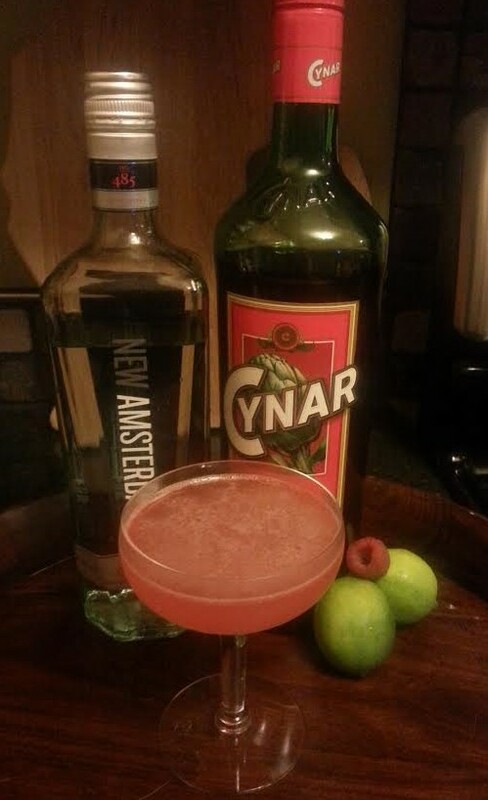 Inspired by the Elvis Costello song New Amsterdam, Much Too Much adds a bitter herbal twist to a Gimlet. The raspberries provide a brilliant red hue to this tart cocktail. Muddle the 2 raspberries in a boston shaker. Add the rest of the ingredients and shake with ice. Strain into a chilled coupe. For the truly brave, cut the simple syrup in half (using only 1/4 oz. instead of 1/2) and let the Cynar dominate.